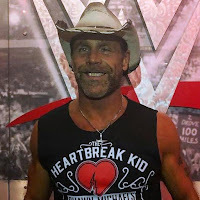 Shawn Michaels recently sat down with ComicBook.com where he revealed how much it meant to the WWE locker room and the company in general when Reigns had to leave the fold to go home and beat leukemia once again. HBK continued to discuss how much it meant that Roman Reigns has actually battled leukemia before and beat it 11 years ago. He will beat it again, but Shawn gave The Big Dog credit in the meantime for not disclosing this information to the fans before he had to in order to get over with a population who were booing him on a rather consistent basis in spite of the fact he was being booked as a babyface.